Taco Night at the Depot Theater! Join us for Taco Thursday! 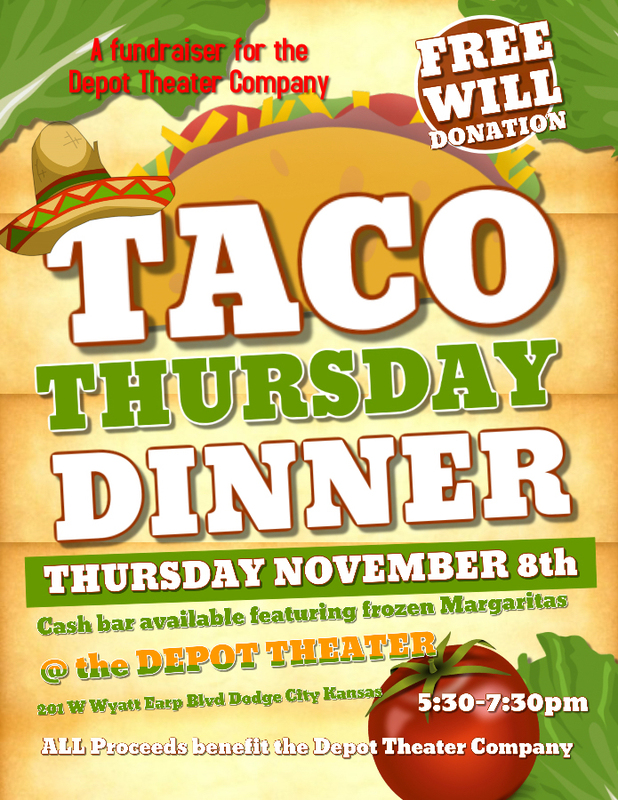 Come down to the Depot for a taco dinner with admission as a free-will donation. Cash bar also available. All proceeds will go to the Depot Theater and all are welcome to join us!